- My bike is the seventh in the third row. Or was it the third in the seventh row? 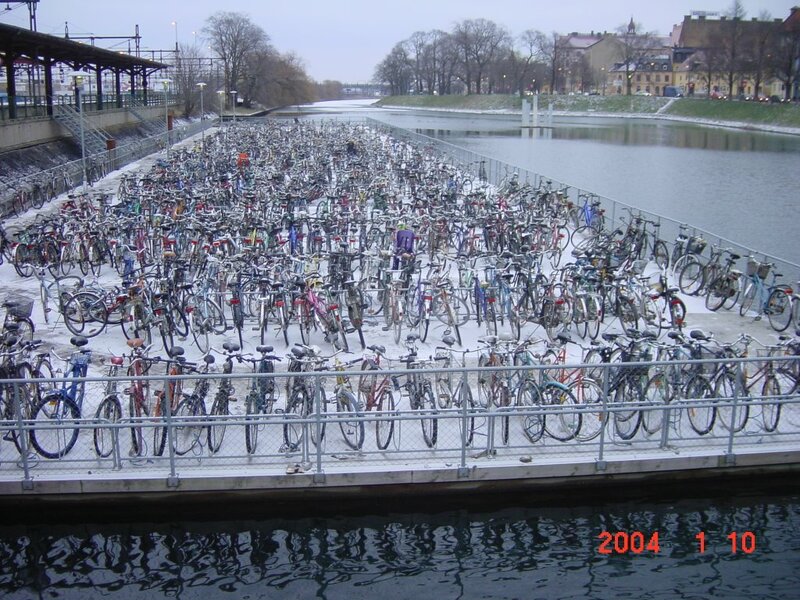 Environmentally friendly parking lot by the Central Station in Malmö. Imagine adding a bit of snow on this cycloferno... Fortunately for the good people of Malmö they don't get a lot of snow.